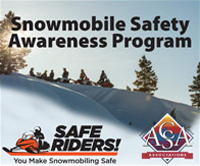 The Midwest Chapter ACSA/ISC is a nonprofit organization established to provide coordination of policies and actions on issues affecting snowmobiling in the Midwest. The Midwest Chapter is one of three designated regions of ACSA and ISC and operates under the by-laws of ACSA and ISC. 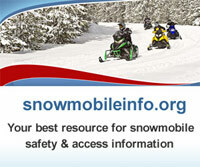 To educate and encourage the safe, courteous, lawful and responsible use of snowmobiles. To promote the orderly development of snowmobiling in the Midwestern United States and Canada through the cooperative efforts of the members of the Chapter. To act as a medium for the exchange of information and ideas between the members of this Chapter and the other Chapters of ACSA/ISC and the Canadian Council of Snowmobile Organizations (CCSO). To work with and educate governmental entities and diversified coalitions to monitor legislative and regulatory initiatives that will encourage equitable treatment of snowmobiling, funding and maintenance of snowmobile trails.